[Ed. note: Welcome to a new column from professional CX racer and journalist Drew Juiliano. Drew will be inside the tape, stuck deep in the ‘cross ruts, bringing you insight and irreverence from the motherland. Please give a round of golf claps for the inaugural DERP Report (Drew’s Embedded Race Perspective). Make sure to follow Drew on Instagram at @drewliano for every last drip of DERP]. Photos by Ethan Glading, who is on Instagram at @thepenultimatestage, and Meg McMahon who is on Instagram at @mcmahon_meg. Watch any number of YouTube replays from Pontchâteau, and you’d be forgiven for thinking that the course is flat. The racing is fast (28 kilometers per hour!) and packs up into a proper CX peloton. The rock stars ride everything in their big rings at a blistering pace that must surely only be possible on a flat circuit. WRONG! The TV lies about CX topography. It does it at Diegem too, where the race speed makes hill climbs on course look like a pancake. There’s 80 meters of climbing per lap at Pontchâteau, most of which comes in the last half of the sub six-minute lap. Le Brutal. Don’t let the barrier hopping at the front of the race fool you, the hills leading up to those planks are steep. Steeper and longer than the nastiest up-downs at Charm City Cross. The steps right before the climbs are meat tenderizers and by the time the planks present at the crest of the final punchy climb, they’re a slow (definitely nothing swift about this section) kick in the motivation. Near the end of Lap two, about 10 minutes into the race, a slight figure in a baby blue skinsuit appeared in front of me. The number 8 bib of Kevin Pauwels was grunting a flat tire into the pits. If I see Kevin, that’s bad news for him. He was all the way back in the 40s, the scrub zone. But after a bike change he disappeared almost as quickly as he appeared. Over the next 50 minutes he rode through the field to 8th place. Eighth! 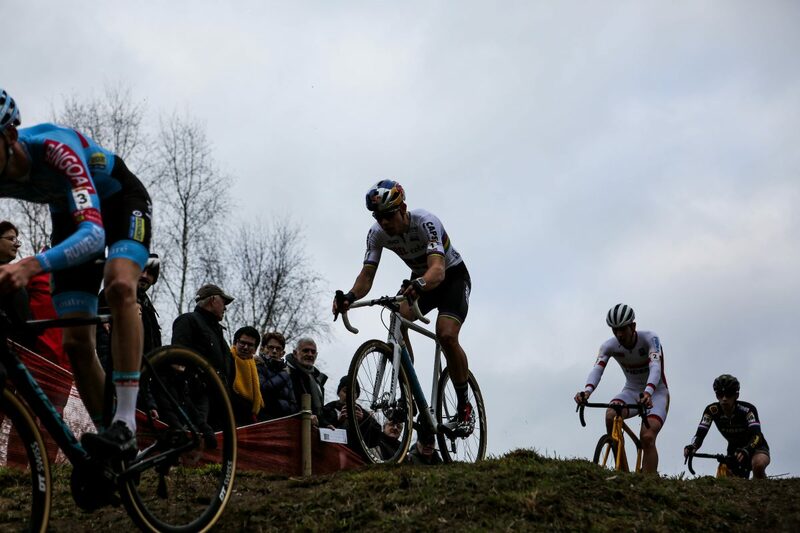 Unfortunately, bad assery was not factored into the Belgian Worlds team selection and poor Kevin was left off the roster for the second straight year. Now that’s a puncture worth bemoaning. What the French supporters lack in numbers compared to their counterparts at a Belgian ‘cross circus, they make up for in la passion. Whereas most Belgian fans will post up like a stick in the mud all day, viewing the races from their claimed patch of fencing, the French will run from section to section, screaming for riders from the locomotives off the front to the cabooses bringing up the rear. I must credit photographer Balint Hamvas for noting that the French run all over the course and go crazy. From inside the tape, it just seemed like there were rabid French supports lining much of the track. Their roars from a jumpable roller along the course were unofficial time gap reports, as the fans erupted when riders obliged with some airtime. That was great! Keep these coming! I felt like I was covered in mud after reading DERP! Love it! Keep writing and riding. 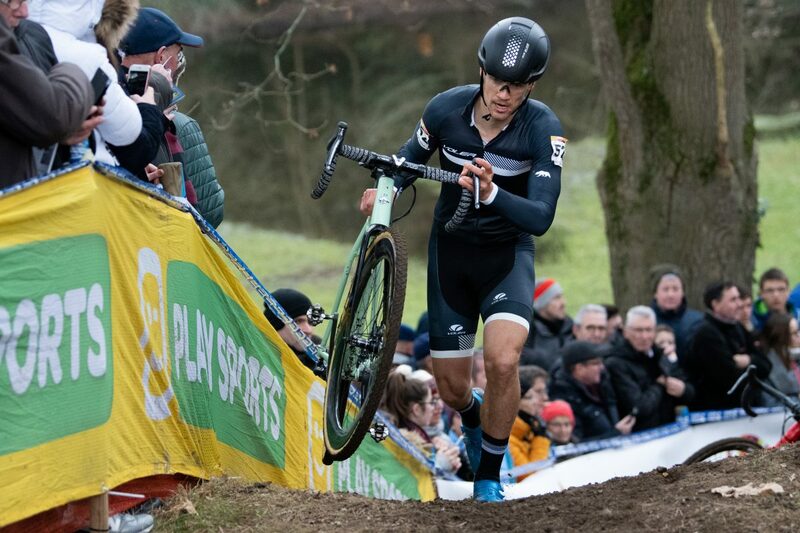 A fresh and fun perspective on the crazy intense world of Cross ! Good to see this guy’s unique “eyeball” and rider perspective …. not to mention his Rock Lobster… back on the course and delivering the inside ERP , from Europe and the World of Cross. 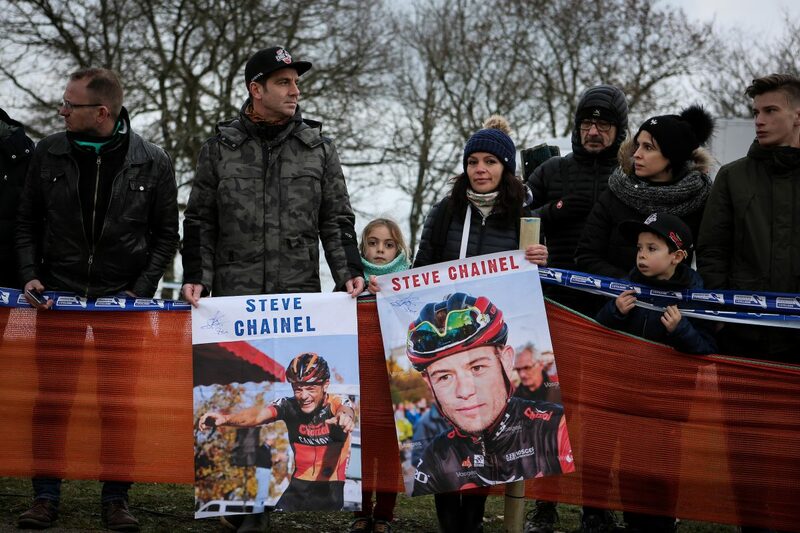 The reaction, expressions of the fans along the course really shows what Drew brings to the circuit in Europe…. and of course, the French are an entertainment factor unto themselves. Oui ! Good Clean Dirty fun !! Bad Assery …. What Life should be indeed ! Cowbell Cowbell Cowbell…More Cowbell. Great stuff Andrew!